Could you pray for people who planned bombings, carried out shootings and terrorized civilians? A movement in the U.S. is asking Christians to do just that. "Where is the Christian response to terrorism?" the site says. "If the struggle against violence done in the name of Islam is primarily spiritual, then defeating it requires a spiritual response." Adopt a Terrorist For Prayer (ATFP) spokesman Thomas Bruce tells CNN the site's main goals are to teach people how to pray for their enemies and to spiritually reform the terrorists. The ATFP site lists 165 people available for “adoption,” most of whom are designated by the FBI and State Department as terrorists or sponsors of terrorism. Just sign up, scroll through the list and choose which individual you’d like to pledge to transform through prayer. CNN could not verify the authenticity of all the names listed on the ATFP site. Some terrorists have more sponsors than others. 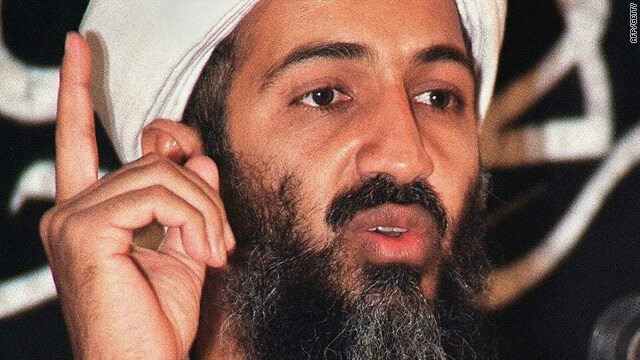 Al Qaeda leader Osama bin Laden has been adopted by 13 people, while Detroit underwear bombing suspect Umar Farouk AbdulMutallab has just eight. All of the people listed have ties to Islam. Bruce has been intimately involved in the conflicts of the past decade. While he was toying with the idea of the site a few years ago, he was called up as a U.S. military reservist. His passions collided when he was sent to northern Iraq to work for one year as a chaplain. “It’s really important to service personnel to do their service for their country without dehumanizing the people who are trying to hurt their country,” Bruce says. The perspective Jesus brings, he says, can help soldiers deal with the enemy with dignity and treat them as fellow human beings. And that’s the thought that carries over to his work with ATFP. “Even once someone is captured, they might not be a threat nationally any longer but they still have value to God, and we’d still like to see them changed,” he says. But ATFP has its critics. Some people say terrorists don’t deserve their prayers, and others just mock the idea. “I think the ridicule comes from people who don’t believe that spiritual things are valid, and prayer is a valid way to address problems,” Bruce says of critics. The former military chaplain says he would like to see groups in other nations start similar initiatives, but that for now he just hopes this movement spreads throughout the United States. I am a very talkative person by nature and I love to chitchat on my mobile the whole day. Due to this habit, I was lately receiving quite of nudging from my parents but all my worries were solved when I downloaded this magical app called Smart Mouth Mobile App. You so called Christians, whom claim to love God but hate here is some of your own medicine. And there is not a beast in the earth but the sustenance thereof dependeth on Allah. He knoweth its habitation and its repository. All is in a clear Record. (6) And He it is Who created the heavens and the earth in six Days – and His Throne was upon the water – that He might try you, which of you is best in conduct. Yet if thou (O Muhammad) sayest: Lo! ye will be raised again after death! those who disbelieve will surely say: This is not but evident magic. (7) And if We delay for them the doom until a reckoned time, they will surely say: What withholdeth it? Verily on the day when it cometh unto them, it cannot be averted from them, and that which they derided will surround them. (8) And if we cause man to taste some mercy from Us and afterward withdraw it from him, Lo! he is despairing, thankless. (9) And if We cause him to taste grace after some misfortune that had befallen him, he saith: The ills have gone from me. Lo! he is exultant, boastful; (10) Save those who persevere and do good works. Theirs will be forgiveness and a great reward. (11) A likely thing, that thou wouldst forsake aught of that which hath been revealed unto thee, and that thy breast should be straitened for it, because they say: Why hath not a treasure been sent down for him, or an angel come with him? Thou art but a warner, and Allah is in charge of all things. (12) Or they say: He hath invented it. Say: Then bring ten surahs, the like thereof, invented, and call on everyone ye can beside Allah, if ye are truthful! (13) And if they answer not your prayer, then know that it is revealed only in the knowledge of Allah; and that there is no God save Him. Will ye then be (of) those who surrender? (14) Whoso desireth the life of the world and its pomp, We shall repay them their deeds herein, and therein they will not be wronged. (15) Those are they for whom is naught in the Hereafter save the Fire. (All) that they contrive here is vain and (all) that they are wont to do is fruitless. (16) Is he (to be counted equal with them) who relieth on a clear proof from his Lord, and a witness from Him reciteth it, and before it was the Book of Moses, an example and a mercy? Such believe therein, and whoso disbelieveth therein of the clans, the Fire is his appointed place. So be not thou in doubt concerning it. Lo! it is the Truth from thy Lord; but most of mankind believe not. (17) Who doeth greater wrong than he who inventeth a lie concerning Allah? Such will be brought before their Lord, and the witnesses will say: These are they who lied concerning their Lord. Now the curse of Allah is upon wrong-doers, (18) Who debar (men) from the way of Allah and would have it crooked, and who are disbelievers in the Hereafter. (19) Such will not escape in the earth, nor have they any protecting friends beside Allah. For them the torment will be double. They could not bear to hear, and they used not to see. (20) Such are they who have lost their souls, and that which they used to invent hath failed them. (21) Assuredly in the Hereafter they will be the greatest losers. (22) Lo! those who believe and do good works and humble themselves before their Lord: such are rightful owners of the Garden; they will abide therein. (23) The similitude of the two parties is as the blind and the deaf and the seer and the hearer. Are they equal in similitude? Will ye not then be admonished? (24). The similitude of the two parties is as the blind and the deaf and the seer and the hearer. Are they equal in similitude? Will ye not then be admonished? (24). I would like to suggest that they add Zippy Livny and other zionist terrorists to their site. They are doing the most to endanger American lives, because they use American taxpayers' money to slaughter Palestinian civilians, thereby focusing anger at the U.S. Maybe they could get their funding elsewhere. Yes, pray that they get their funding elsewhere, then American lives will be safe. That is the most important thing, isn't it? Not only tax payers but from religious grounds as well many big registered trade marks of Jews/Zion's owners, it is not only used against palestinians only but as well as Arabs and Islamic countries and nations (Media&Terror). Those revolted in Arabian countries might with such injustice decide to march bared feet through boarders to Palestine and Jerusalem to revolt as did in their countries armed with stones to bring down those unjust acts to Palestinians and the Holy Mosque and lands that they are digging underneath every day that would contribute to bringing it down to earth in pieces...!? Christians are terrorists themselves. They try to terrorize the non-believers into believing with threats of damnation and eternal agony. Christians come up with some goofy stuff. This is right up there. But prayer works! And it works better when done from a helicopter!! Really – it's been reported and defended (NOT!) right here on this blog. Who are you fooling now? I thought you mentioned not believing in God,nor books nor angels,nor prophets,nor Satan?? So could you believe in Prayers whether being while on Earth or while flying by helicopter over Earth??! Am lost ! In such case I suggest from a Space Ship the reception would be better for God to hear any answer prayers?? Better than prayers from a helicopter?? Just wonder how God said he can hear and become to know of creatures under earth sands? How her heard the call of the prophet who remained in the whale's stomach for forty days and when called for God in repent God answered his call and had the whale to spit him out on to shore?? Strange what we hear,but happening by the Jew of Israel who at certain days of the year fly a helicopter over the walls of Jerusalem reading out prayers..sort of marking where prayer readings are to land securing that certain area only.. I thought I did and did as you did..! You might get 20 years for supporting terrorism in your prayers. The ignorance, and sheer stupidity of the US governments fight against terrorism, some 60 years ago the US was branding everyone that opposed them a communist, today their in bed with the communist, China. Americans are idiots. Each soul earneth only on its own account,nor doth any laden bear another's load. No laden soul can bear another's load. And no burdened soul can bear another's burden. No laden soul will bear another's load. That no laden one shall bear another's load. Lo! As for those who sunder their religion and become schismatics, no concern at all hast thou with them. Their case will go to Allah, Who then will tell them what they used to do. (159) Whoso bringeth a good deed will receive tenfold the like thereof, while whoso bringeth an ill-deed will be awarded but the like thereof; and they will not be wronged. (160) Say: Lo! As for me, my Lord hath guided me unto a straight path, a right religion, the community of Abraham, the upright, who was no idolater. (161) Say: Lo! my worship and my sacrifice and my living and my dying are for Allah, Lord of the Worlds. (162) He hath no partner. This am I commanded, and I am first of those who surrender (unto Him). (163) Say: Shall I seek another than Allah for Lord, when He is Lord of all things? "Each soul earneth only on its own account,nor doth any laden bear another's load". Then unto your Lord is your return and He will tell you that wherein ye differed. (164) He it is Who hath placed you as viceroys of the earth and hath exalted some of you in rank above others, that He may try you by (the test of) that which He hath given you. Lo! Thy Lord is swift in prosecution, and Lo! He verily is Forgiving, Merciful. (165). And every man's augury have We fastened to his own neck, and We shall bring forth for him on the Day of Resurrection a book which he will find wide open. (13) (And it will be said unto him): Read thy Book. Thy soul sufficeth as reckoner against thee this day. (14) Whosoever goeth right, it is only for (the good of) his own soul that he goeth right, and whosoever erreth, erreth only to its hurt. "No laden soul can bear another's load", We never punish until we have sent a messenger. (15) And when We would destroy a township We send commandment to its folk who live at ease, and afterward they commit abomination therein, and so the Word (of doom) hath effect for it, and we annihilate it with complete annihilation. (16). O mankind! Ye are the poor in your relation to Allah. And Allah! He is the Absolute, the Owner of Praise. (15) If He will, He can be rid of you and bring (instead of you) some new creation. (16) That is not a hard thing for Allah. (17) "And no burdened soul can bear another's burden", and if one heavy laden crieth for (help with) his load, naught of it will be lifted even though he (unto whom he crieth) be of kin. Thou warnest only those who fear their Lord in secret, and have established worship. He who groweth (in goodness), groweth only for himself, (he cannot by his merit redeem others). Unto Allah is the journeying. (18) The blind man is not equal with the seer; (19) Nor is darkness (tantamount to) light; (20) Nor is the shadow equal with the sun's full heat; (21) Nor are the living equal with the dead. Lo! Allah maketh whom He will to hear. Thou canst not reach those who are in the graves. (22) Thou art but a warner. (23). If ye are thankless, yet Allah is Independent of you, though He is not pleased with thanklessness for His bondmen; and if ye are thankful He is pleased therewith for you. "No laden soul will bear another's load". Then unto your Lord is your return; and He will tell you what ye used to do. Lo! He knoweth what is in the breasts (of men). (7). Didst thou (O Muhammad) observe him who turned away, (33) And gave a little, then was grudging? (34) Hath he knowledge of the Unseen so that he seeth? (35) Or hath he not had news of what is in the books of Moses (36) And Abraham who paid his debt: (37) "That no laden one shall bear another's load", (38) And that man hath only that for which he maketh effort, (39) And that his effort will be seen. (40) And afterward he will be repaid for it with fullest payment; (41) And that thy Lord, He is the goal; (42) And that He it is who maketh laugh, and maketh weep, (43) And that He it is Who giveth death and giveth life; (44) And that He createth the two spouses, the male and the female, (45) From a drop (of seed) when it is poured forth; (46) And that He hath ordained the second bringing forth; (47) And that He it is Who enricheth and contenteth; (48) And that He it is Who is the Lord of Sirius; (49). What special equipment is required to pray for these terrorist? I don't think closing my eyes and thinking will stop them from detonating. google Luis Posada Carriles. Our cia operative who admitted carrying out terrorist actions against Cuba. "They respond to their Maintainer of Evolution (Rabb: to sustain the evolution towards maturity) by establishing the movement towards [Peace] (Salat: to move towards something, i.e. we are guided to the state of peace 10:25), and conduct their affairs by mutual consultation [Democracy] (Shura: consultation, debate, counsel another), and they keep open for the welfare of others what We have given them. And whenever gross injustice is inflicted upon them, they defend themselves and stand up for their rights (yantasiruna: to defend or aid themselves). But requiting evil may become an evil in itself! (sayyi: to hurt or tyrannize others) So, whoever pardons and makes peace (aslaha: to restore the balance), his reward rests with God. Surely, He does not love the violators of human rights (alThzalimeen: Those that put themselves above others, from Thzalima=to displace something). Certainly, those who stand up for their rights, when injustice befalls them, are not committing any error. The blame is on those who oppress people and cause disorder on the earth resorting to aggression, unprovoked. They are the ones for whom there is an painful retribution. And for he who is patient, perseveres (sabara: to persevere and keep one's charachter) and forgives and protects (ghafara: to protect against consequences) then that is an indication of strength." (42:38-43). Who's with me say "Amen"!!!! Misogynist! Terrorists kill their women more than bombs. Time to end the moral relativism regarding Islam and women. And you are part of the problem!!! I'm a non-believer, but I think this is a great idea....bridge the gap between religions. @Dam: It's Christians' unconditional holy love that can be only from God.